Life got ahead of me again...like it tends to. No excuses apart from the fact I needed to prioritize squeezing in some fun, drinking and sleeping to ease my hard worked body and subsequently my dearest blog was forsaken. 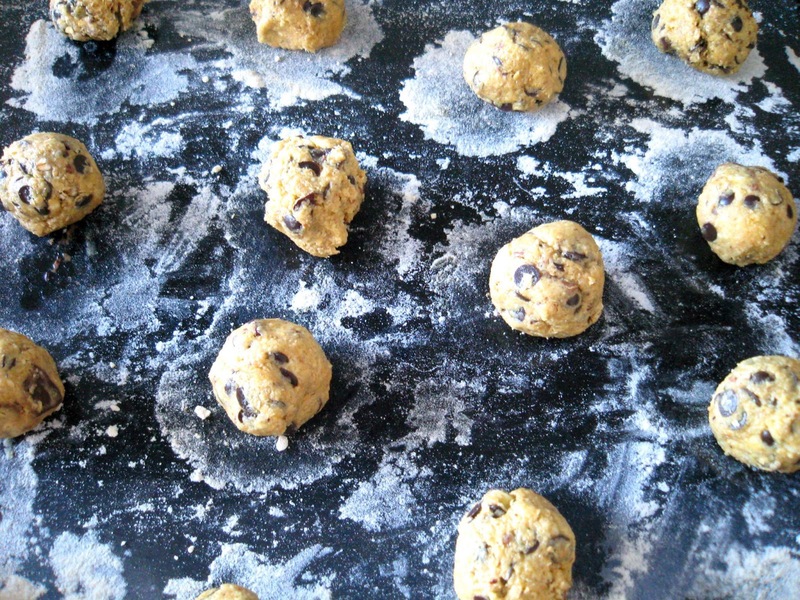 Add the dry ingredients as well as the chocolate chips and fold together until you have a thick cookie dough. 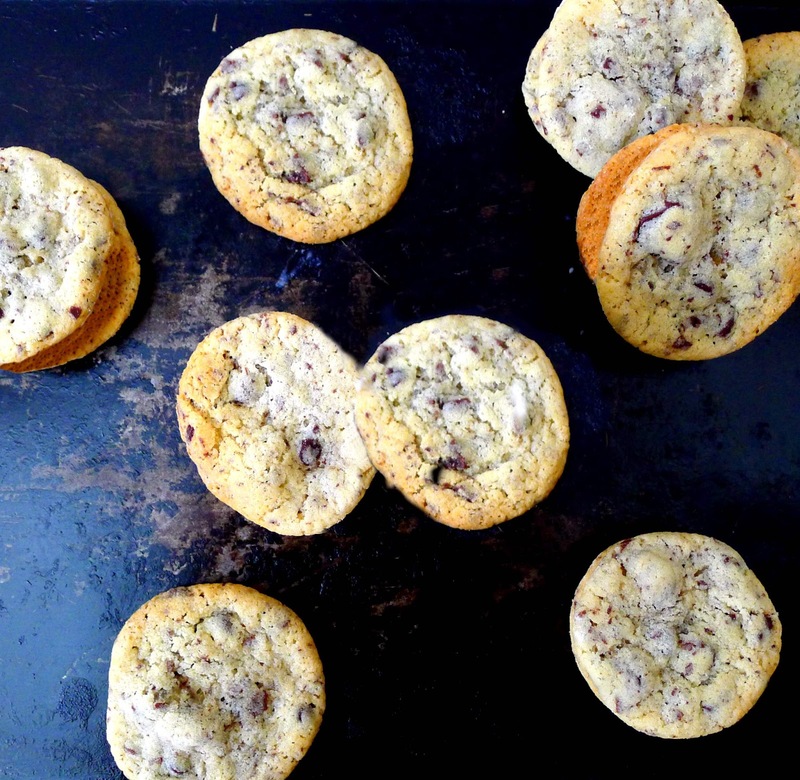 Spoon dollops of the cookie dough into your palms, roll into balls about the size of large marbles and place on the baking sheets at least 5 centimetres apart as they will spread as they bake. Bake in the oven for 8-9 minutes – they should still be slightly gooey in the middle when you take them out of the oven. Allow to cool slightly before taking off the baking paper and transferring to a wire wrack to cool completely. You are TOTALLY forgiven. I bribe easily and you found my poison! Going to try these soonest!